Bourbon Pound Cake Recipe - egg whites are whipped and folded into the batter - makes an amazing pound cake! 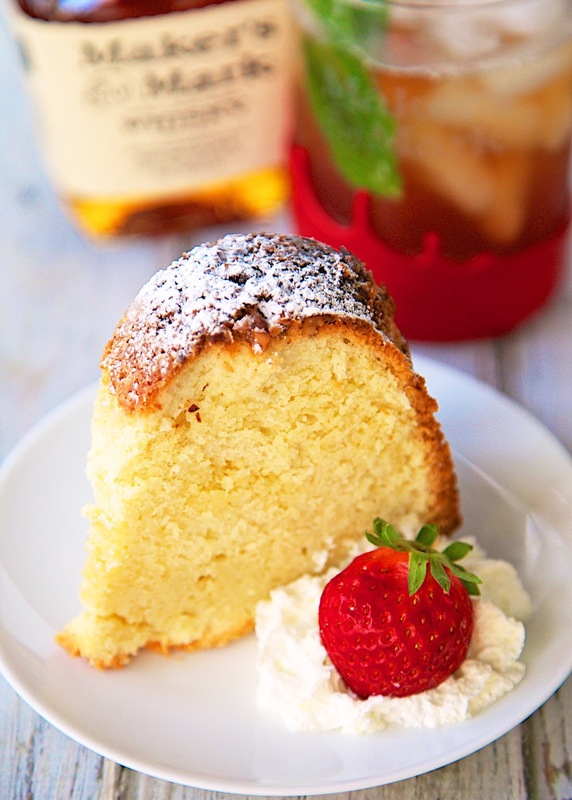 The bourbon in the cake makes it the perfect treat for watching the Kentucky Derby! It's hard to beat a good pound cake for dessert. It is so simple, yet so delicious. This Bourbon Pound Cake is no different. It was super simple to whip up in my KitchenAid mixer and it tasted amazing! 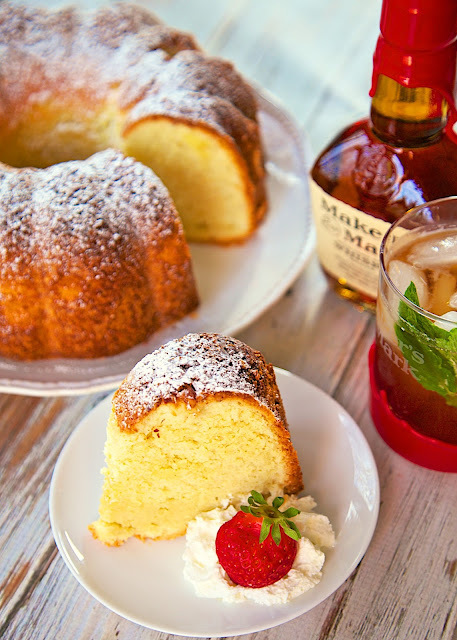 The bourbon in the cake makes it the perfect treat for watching the Kentucky Derby next weekend. The batter was prepared a little differently than most pound cakes I've made. The eggs were separated. The yolks went in first and then I whipped the egg whites and folded them into the batter. Make sure that your bowl and beaters are really clean and free of any fat. Even a small amount of egg yolk or butter can prevent the egg whites from whipping up properly. Preheat oven to 350ºF. Grease a bundt pan and sprinkle chopped pecans in pan. Beat egg whites at high speed with an electric mixer until soft peaks form. Slowly add 1 cup of sugar, a tablespoon at a time, until stiff peaks form (about 2-4 minutes). Set aside. In a separate bowl, beat butter at medium speed of an electric mixer for 2 minutes. Slowly add remaining 2 cups of sugar. Continue beating at medium speed for 5 minutes. Add egg yolks, one at a time, beating until yellow disappears. Add flour to butter mixture alternating with bourbon, beginning and ending with flour. Mix at low speed just until blended after each addition of flour. Stir in vanilla and almond extract. Fold egg white mixture to batter. Spoon mixture into prepared bundt pan. Bake 60-70 minutes or until wooden pick inserted in center comes out clean. Cool in pan on a wire rack for 15-20 minutes; remove from pan and cool completely on wire rack. Sprinkle with powdered sugar. What could you use instead of the alcohol? Rae - there are other great pound cakes on the blog that you could try. Just search for pound cakes on the blog. This looks so yummy. And I am loving these photos! !